The perfect bow tie for a Wedding! Your little ring bearer will steal the show with this fun retro look. 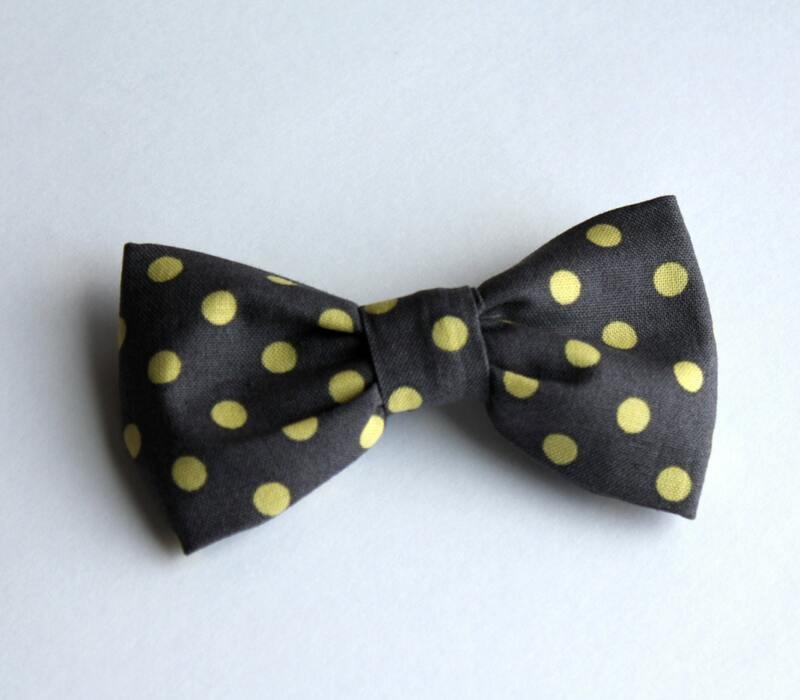 Beautiful charcoal background with soft yellow polka dots make a classic tie. 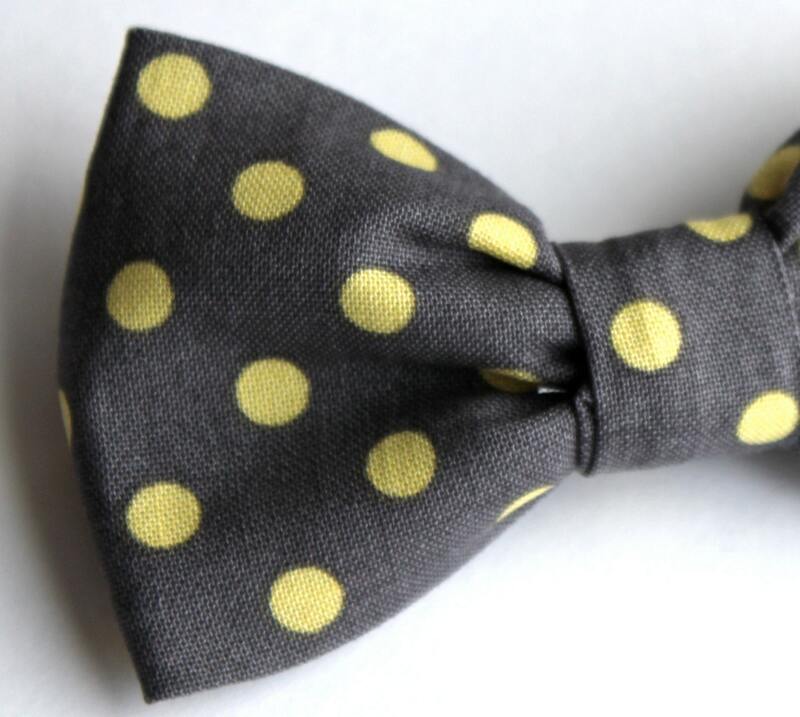 This darling tie is great for any occasion, photos, weddings, church or just a fun addition to any outfit. Made of top quality designer cotton. The metal clip makes it easy and comfortable to wear. It will also hold up to lots of wear. Pictured ties fits sizes 6 to 10. Listing is for one tie.